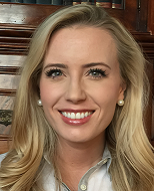 Mary Monica Allen is the special assistant to the Secretary of State’s Speechwriters in the Office of Policy Planning, where she conducts research and writes and edits speeches for the Deputy Secretary of State and the Secretary of State. Prior to entering the State Department, Ms. Allen worked for U.S. Senator Richard Burr (NC) on Capitol Hill as well as at The Heritage Foundation and at the Center for Education Reform (CER). She holds a B.A. in politics and international affairs, with a minor in Middle East and South Asian studies, from Wake Forest University. 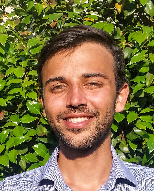 Jonah Bennett is an international relations graduate student at King's College London, where he focuses on IR theory, ethnic conflict, and governance. Prior to KCL, Mr. Bennett was a senior reporter for The Daily Caller News Foundation. His work has been covered in USA Today, Politico, The Washington Post, The Wall Street Journal, New York Magazine, The Washington Times, The Hill, and RealClearDefense. Mr. Bennett holds a B.A. first class with distinction in political science from Simon Fraser University. 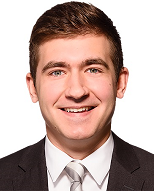 Paul Choix is a research intern at the Hudson Institute's Center for American Seapower, where he works on maritime strategy and the Defense Industrial Base. 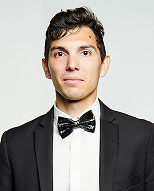 Mr. Choix has previously interned at The Heritage Foundation's Simon Center for Principles and Politics. He holds a B.A. in political science and an M.A. in philosophy from Boston College. 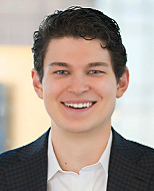 Charles Correll III is a staff assistant with the House Committee on Oversight and Government Reform, where he works on regulatory and technology matters. 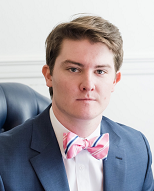 Mr. Correll previously interned for the B. Kenneth Simon Center for Principles and Politics at The Heritage Foundation, the National Review Institute, and Cornerstone Research. His work has been published in National Review, the Washington and Lee Spectator, and the Washington and Lee Political Review. In 2017, he graduated from Washington and Lee University with a B.A. in politics (with honors) and American history. He lives in Virginia with his wife, Diana. 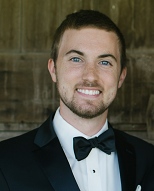 Daniel Davis is commentary editor and podcast host for The Daily Signal, the multimedia platform of The Heritage Foundation. Mr. Davis previously served in the U.S. House of Representatives as a research assistant, and has interned at the American Enterprise Institute and Townhall. He also served at the U.S. Embassies in Singapore and Tel Aviv, Israel. In addition to The Daily Signal, Mr. Davis has contributed articles to The Washington Times, The Federalist, Townhall, and Values & Capitalism. He holds a B.A. in history from Wheaton College. 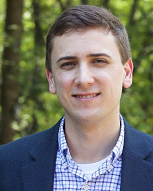 Mark DiPlacido is a senior legislative assistant at Heritage Action for America. He has previously worked on the policy promotion team at The Heritage Foundation and as a legislative aide for U.S. Senator Ben Sasse, where he gained a background and interest in a variety of economic and domestic policy issues. Before moving to D.C., he received a B.A. in history at Yale University, where he also served as president of the Yale Political Union and vice president of the William F. Buckley Jr. Program. Ugonna Eze is the Fellow for Constitutional Studies at the National Constitution Center, where he studies constitutional law, history, and criminal procedure. As an undergraduate, Mr. Eze was the speaker of the Yale Political Union and co-founded both the Yale Journal for Political Thought and the Yale Freestyle Collective. In 2015, he ran for New Haven's city council as the Republican candidate for Ward 1, in the closest election in the city's history. He holds a B.A. in global affairs from Yale University. 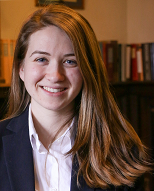 Brigid Flaherty is assistant director, faculty division, at the Federalist Society, where she plans conferences for legal academics and manages SCOTUScast, the Federalist Society's podcast on Supreme Court proceedings. Before joining the Federalist Society, Ms. Flaherty was a Fellow at the John Jay Institute. She also was an Intercollegiate Studies Institute Honors Program Fellow. She holds a B.A. in history and philosophy from Providence College. Alexandra Hudson is currently writing her first book, on civility. 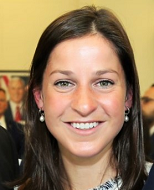 Previously, Alexandra served as a Policy Advisor for the US Department of Education, where she worked to administer an annual budget of $16 billion. Alexandra studied history and political philosophy at Trinity Western University and earned a Masters in social policy at the London School of Economics as a Rotary Scholar. Alexandra lives with her husband in Indianapolis, Indiana. 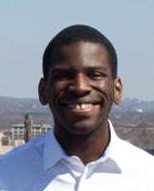 Wells King will be a fellow at The Public Interest Fellowship in Washington, DC this fall. Mr. King has previously worked as a management consultant at McKinsey & Company. He was a summer fellow in the Hertog Foundation's Political Studies Program in 2016 and an honors scholar in the Intercollegiate Studies Institute's Honors Program in 2015. Mr. King holds a B.A. in history from Davidson College. 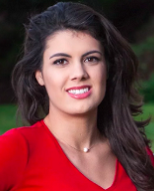 Bre Payton is a staff writer for The Federalist. She has written on subjects ranging from Kanye West to Supreme Court rulings and breaking news. She has appeared on Fox News, MSNBC, CNN, NPR, BBC World News, among others, and her work has been featured in The Wall Street Journal, The Washington Times, The Daily Signal, WORLD Magazine, and The Daily Caller, to name a few. She previously worked as a reporter for Watchdog.org and received her degree in political journalism from Patrick Henry College. Andy Reuss is a speechwriter at the United States Department of Justice. Previously, he served as legislative assistant to U.S. Senator Mike Lee (R-Utah) and as research assistant to U.S. Senator Ben Sasse (R-Nebraska). He holds a B.A. in politics and English from Hillsdale College. As a George Washington Fellow, he conducted research for the official Winston Churchill biography project. 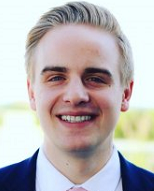 Alexander (Alex) W. Titus is a policy advisor and fellow at America First Policies, where he works to advance an "America first" policy agenda. 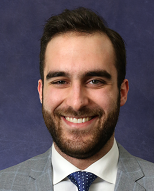 Additionally, he serves as a fellow with The Public Interest Fellowship, is an incoming Tikvah Fund 2018 Summer Institute Participant, and an alumnus of the 2017 Philos Leadership Institute. Alex frequently appears on television and radio to discuss policy and his writing has appeared in National Review, Fox News, City Journal, The Jerusalem Post, Washington Examiner, The Hill, and has been shared by the White House, Republican National Committee, members of Congress, and several conservative think tanks.